Certainly Joffrey Ballet’s “The Nutcracker,” Goodman Theatre’s “A Christmas Carol” and Macy’s State Street holiday windows are on many folks’ traditional “do” list. But there are also other good shows to see and fun places to go as December 2018 turns into January 2019. “Into the Woods,” Stephen Sondheim’s “not happily ever after” take on traditional fairy tales, is at Music Theater Works at Cahn Auditorium on Sheridan Road in Evanston Dec. 22-31. Music Theater Works was formerly called Light Opera Works. “A Midsummer Night’s Dream” is about magic, love, and in this production at Chicago Shakespeare Theater, is backed by a mash-up of rock, jazz, blues and doo-wop., Dec. 6, 2018 -Jan 27, 2019. “La Ruta” world premiere at Steppenwolf Theatre Dec. 13-Jan. 27. At U.S.-owned factories in Ciudad Juárez, Mexico, La Ruta is just a bus. But to the women who live, work and often disappear along the route, it’s much more. 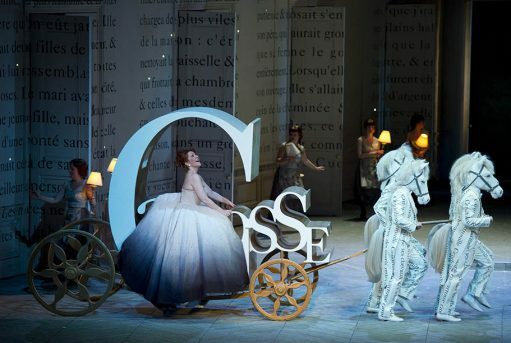 “Cendrillon” (Cinderella) at the Lyric Opera of Chicago, select dates from Dec. 1 through Jan. 20. Chicago Symphony Orchestra Brass plays numbers from Holst to Tchaikovsky, 8 p.,. Dec. 19, at Chicago Symphony Center, 220 S. Michigan Ave. and the CSO does Handel’s “Messiah” at 8 p.m. Dec. 20 at the Symphony Center. Ice skate free in Millennium Park if you bring your skates, skate rental is $13 weekdays and $15 Friday-Sunday and holidays. 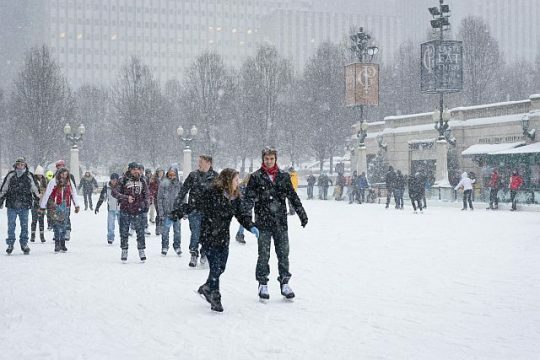 Skating rink is street level on Michigan Avenue below Cloud Gate (The Bean) between Washington and Madison Streets. Hours and more information at Millennium Park. Take a “Holiday Lights, City Lights’ bus tour with the Chicago Architecture Center, 111 E. Wacker Dr., Chicago and then check out CAC’s diorama on the main floor and skyscraper exhibit upstairs. However, you can still find traditional holiday ideas at After Thanksgiving and Holiday shows and shopping plus light sights.